While some predators have to deal with the problem of searching and capturing their prey, this spider allows the prey to come to them. 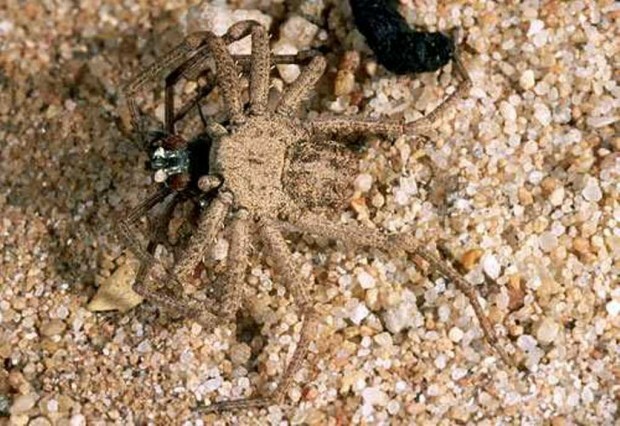 Living its shy and sedentary lifestyle, the spider will camouflage itself by burying and adhering to sand particles, and wait for any prey to wander too close. 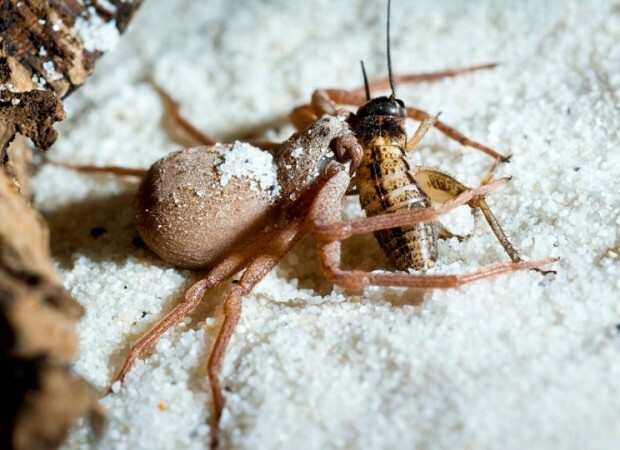 Once the prey is in its sights, the spider emerges from the sand and bites the prey item, immediately injecting deadly venom into it. The insect is immediately immobilized, and death occurs within seconds. To watch this happen in real life, click on this amazing video http://www.youtube.com/watch?feature=player_embedded&v=PuPStWFnHmY. This video shows the amazing adaptations this spider has acquired that allows it to fit into the environment perfectly and feed on prey. 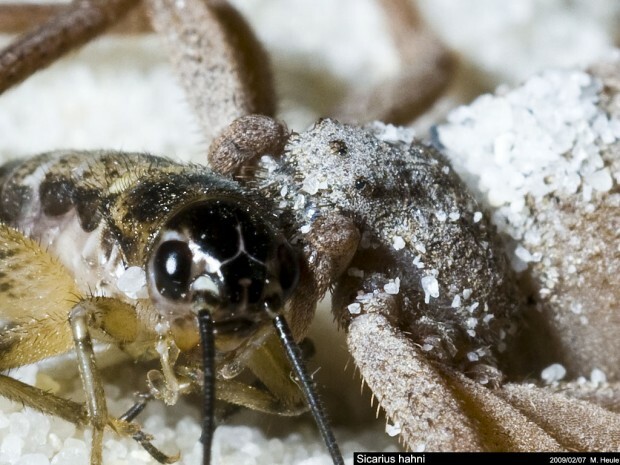 T he diet of Sicarius hahni usually consists of insects and scorpions, but the lethality of its venom make it easily capable of killing bigger prey items. Since the spider spends most of its life waiting for insects to travel too close, it has adapted to be able to live without food for a very long time. This is a common trait for other organisms that live in deserts, where food and water can be scarce. Click here to go back to the home page. 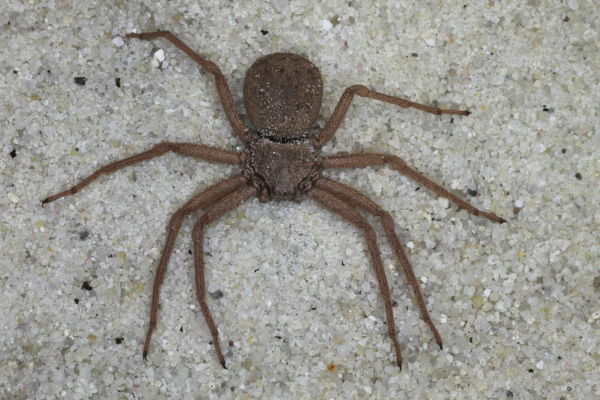 To learn about the interactions this spider has with the environment click here.